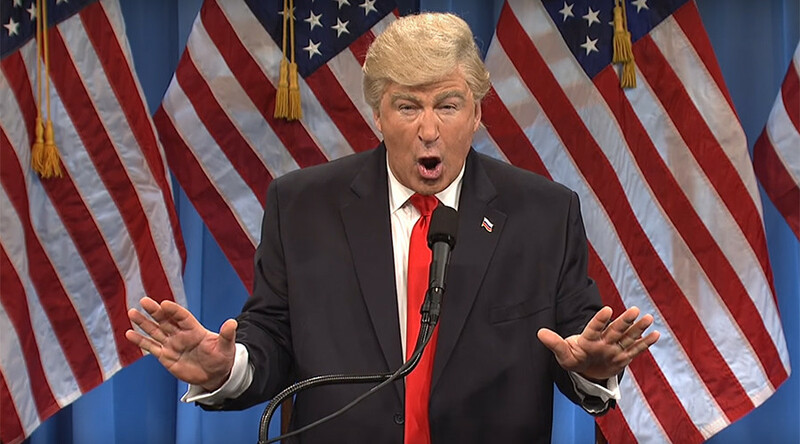 Alec Baldwin’s portrayal of President Trump is apparently so convincing that he was mistaken for the billionaire-turned politician by a Dominican newspaper, which published a still from Saturday Night Live instead of the POTUS. On Friday, the Dominican Republic’s El Nacional newspaper accidentally placed Baldwin alongside a photo of Israeli Prime Minister Benjamin Netanyahu in an article discussing Trump’s controversial comments on Israeli settlements and the Palestinian peace process. The newspaper gaffe has caused great amusement online, with many noting that they hope the Dominican Republic hasn’t accidentally triggered a war. @craigmelvin@AlecBaldwin is so good at doing Trump @ElNacional_RD used his picture instead of the latter. The newspaper acknowledged the blunder Saturday, issuing a statement on its website in which it said: "El Nacional apologizes to its readers and anyone who felt affect by the publication." However, the newspaper's photo editor needn’t feel too bad, as this isn’t the first time Baldwin and Trump have exchanged identities in the media.